This view is worth a 1,000 words — tell us yours! 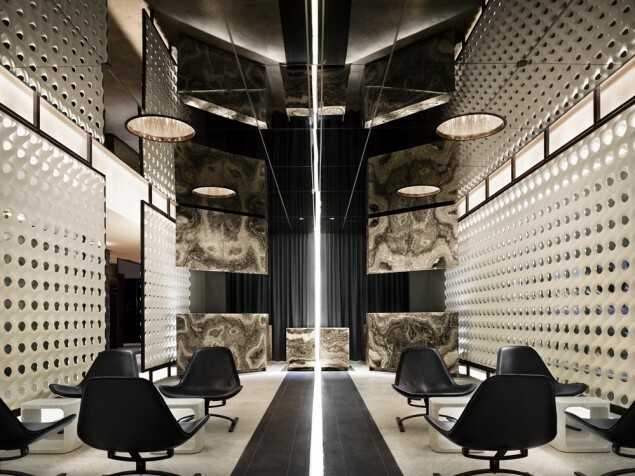 A bold new hotel stands on its own two feet, literally, breathing new life to Manhattan’s skyline and the evolving Meatpacking District. The Standard High Line hotel pays tribute to Postmodernism, whose architectural roots go back over 70 years. 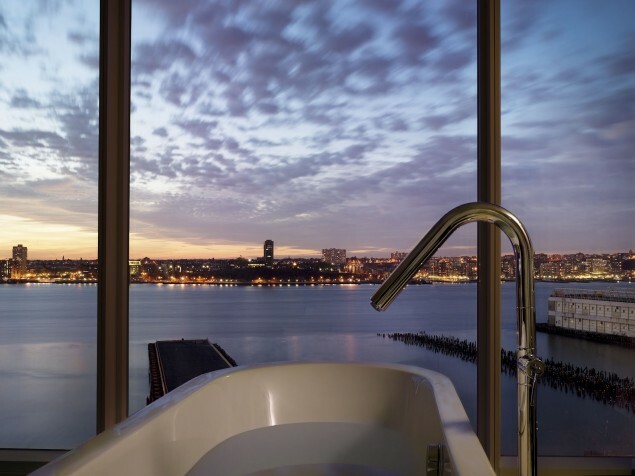 There is nothing standard about this ingeniously-sited hotel overlooking the Hudson River. The Standard High Line is another brilliant installment of Andre Balzac’s brand of well-planned, well-located, and very well received hotels. 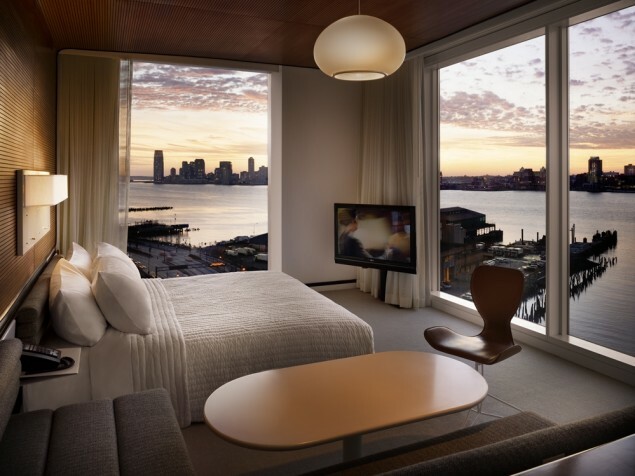 The Standard now graces the New York City skyline and has become a regular feature of local architectural tours. 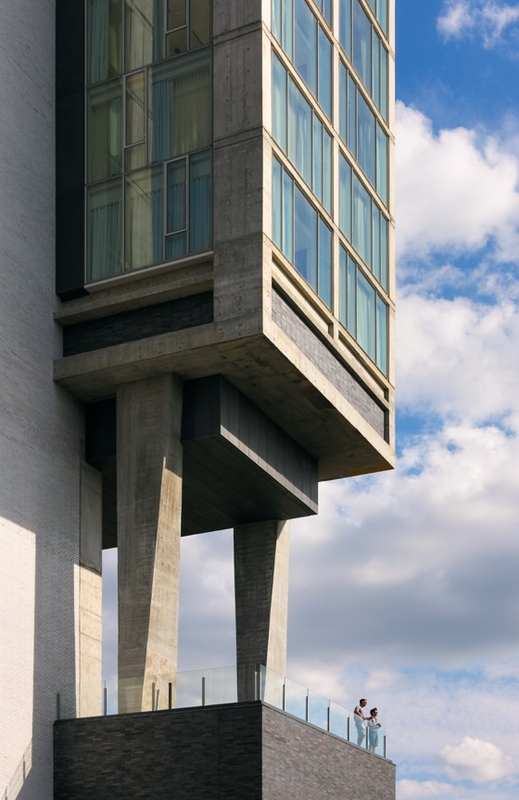 Creative engineering design allows the 18-story building to be raised on giant structural “legs” that straddle an elevated pedestrian promenade known as The High Line. The shape of the building offers a distinctly different perspective depending on your point of view. From the north and south, the building appears as a wide-angled mass, like an open book. From the east and west, the building appears tall and slender. Casual dining is offered at the streetside Standard Grill. 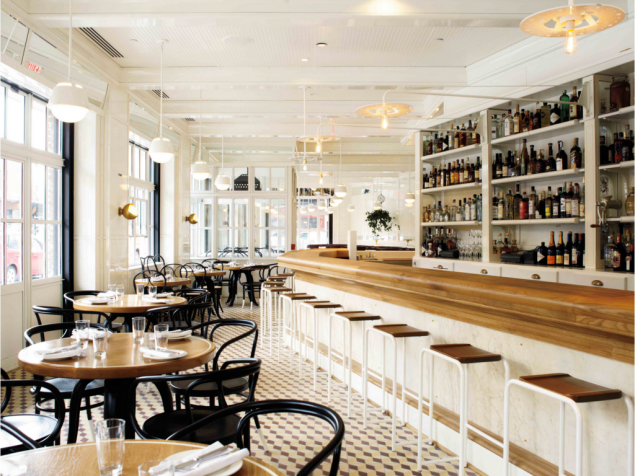 Michelin-starred chef Dan Silverman combines a classic New York steakhouse with the tastes of the modern American palate in an old-world setting – perfect for New Yorkers and visitors alike. For those who relish a year-round Octoberfest there is the Biergarten, offering traditional German fare by Chef Kurt Gutenbrunner. The Biergarten is open-air in the summer. In the winter, the Standard has its own outdoor ice skating rink, an annual featured hockey event is “what the puck?”. 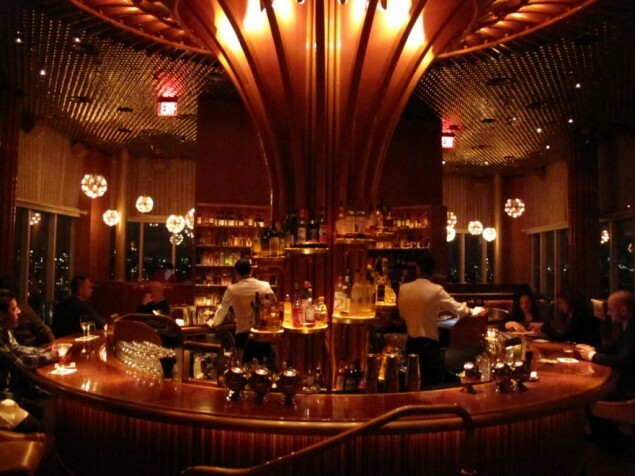 The Standard ushers in a new chapter in New York City's architectural history. 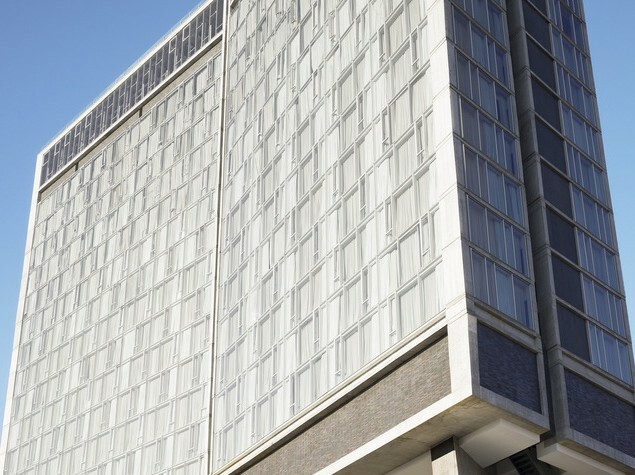 The building is positioned directly over a popular urban space, allowing the public to get "up close and personal" with the hotel in a way that would not otherwise be possible. The hotel equally invites its non-guests to enjoy its dining, views, and outdoor amenities, and that is part of its special appeal.